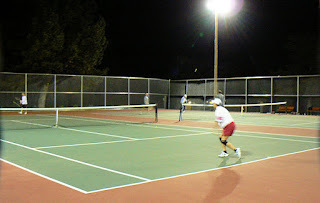 Unlike many other sports, there are no time limits to tennis matches. There is no clock—only how much the mind and body can handle. When one person gives up mentally, or can’t keep up physically the match will soon end. Most tennis players don’t like giving up and calling it quits though, especially in competitive leagues like the Tennis League Network. Often times this leads to matches extending out for hours. And if the match is being played outdoors, players may find themselves playing under the lights. Playing at dusk, let alone at night, is not ideal especially without adequate light. However, sometimes playing at night is inevitable. For example, if you have a career that keeps you busy, playing in the evening after work may be the only fit for your schedule. Of course, you’re not going to be able to play in pitch black darkness. So it’s ideal to find a tennis court that is well lit. Often times these courts will be at large outdoor tennis centers or parks. The only aspect you will have to adapt to is the bright lights which may cause difficulty during serves or overheads, as the light can interfere with your vision. That said, lights are definitely ideal for playing at night. Unfortunately, lit courts aren’t always available. 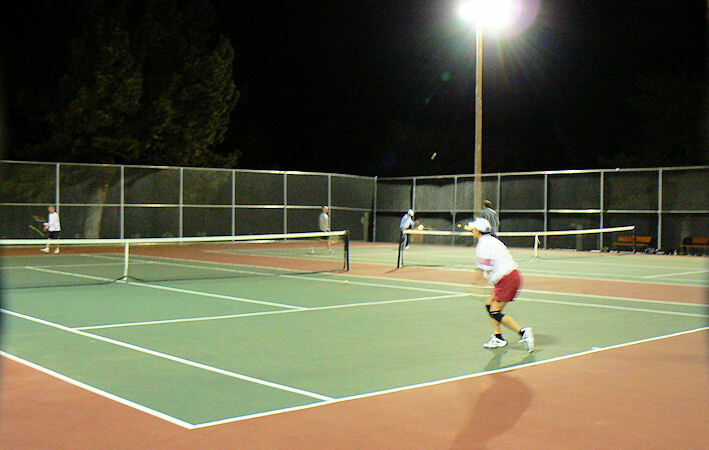 In smaller, neighborhood tennis courts lights aren’t an option. In this case players will have to adjust to the darkness, playing until both sides agree to call it quits. But when is it too dark to call it quits? Some players aren’t going to want to throw in the towel to a match, especially if they are losing. If this happens, you’re just going to have to try and reason with them. There’s no point in running back and forth on the court, only to miss the ball, or suffer an injury. Promise to reschedule another time if all else fails. A simple way to prevent this from happening is to agree before the match when you two will stop playing. You can decide to set a limit based on time, when the sun is down, a certain point in the match etc. Just make sure you clearly communicate your point so you and your opponent aren’t arguing later on. Not everyone should play tennis at night. Quality of vision is going to vary from person to person, which will significantly affect the quality of play. For people with poor vision, especially those who are older, they are going to have more trouble seeing at night. Make sure your opponent understands this when playing a match. Playing tennis at night does come offer a few benefits though. There’s less heat and humidity, no sunlight (which causes difficulty seeing at times), not to mention there are usually more courts available! 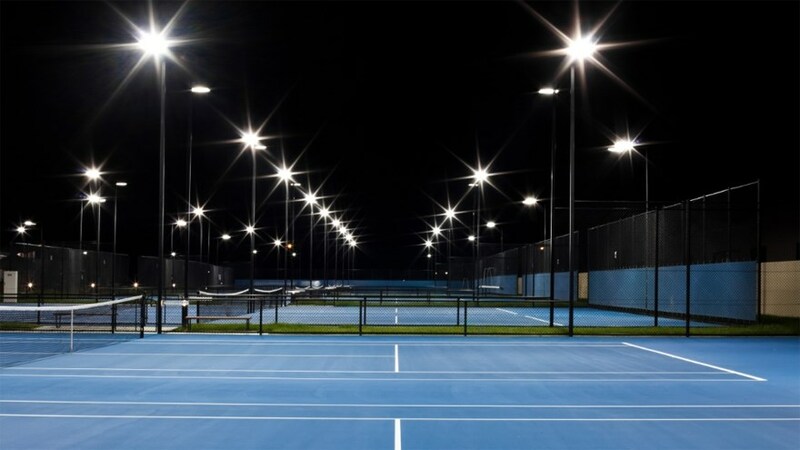 An ideal situation would be to schedule a match on courts where you know there is going to be lighting. Start the match earlier in the evening, or late afternoon and continue to play as long as you feel comfortable. All leagues in our network have maps of local courts and provide detailed information. For example, Tennis New York has plenty of lighted courts to choose from. If you haven't already, sign up for a local league. There are plenty of players to match up with, and you will definitely be able to find times to play that suit you best--even at night!